Have you ever been to Louie's P&R in Herrin? They are a premier Italian Deli that was established in the late 1890s! It has had several owners over the years but it is currently owned and operated by Louie's son Tony and his wife, Alisa. If you go in the deli you can get the finest Italian sausages, salameats and other Italian favorites! You can also order freshly made sandwiches to go or eat in. The prices are great and you can use their FREE Wi-Fi! That is a plus in this area. Here is their adorable & fresh website: http://www.louiespandr.com/ When you pop over to check them out you will see what I mean. Click, Louie's P&R Italian Deli to get in on the Southern Illinois Deal of the Day! You can purchase a $10 voucher with a value of $20! They have a limited amount so click today to get in on the deal. Deal ends Saturday, March 3rd or when they reach their limit. Yum! Have you ever been there? What is your favorite item? IF you haven't been there then for sure you will want to grab this deal and give it a try at 50% off! These deals make great gifts, too! 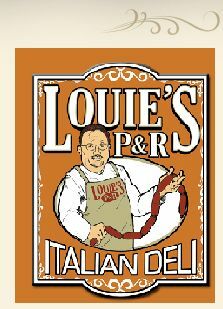 Click LOUIE'S P&R Italian Deli to get it now!